Who has faced two different Lions tours? Features: Who was the Lions' youngest captain? Features: Who has tasted World Cup success in 7s and XVs? In this edition, John answers queries a batch of queries about the British & Irish Lions and New Zealand. There is a long list of players from the Tri-Nations who have played against at least two Lions sides, though it has become less common in recent times. The longest span between first and last appearances against British/Irish touring teams is 19 years. The South African forward Barry Heatlie played six times (including two Tests) against the 1891 Lions and five times against the 1896 tourists (including two of the Tests and captaining South Africa to their first-ever international victory in the Cape Town match). He was also prominent against Mark Morrison's Lions team in 1903 when he skippered Western Province to two wins and a draw and led his country to victory in the final Test in Cape Town. That win, after drawn Tests in Johannesburg and Kimberley, gave South Africa their first series win against the Lions. Heatlie emigrated to Argentina in the early 1900s and worked hard to establish rugby in South America. His last appearance against a British side was in 1910 in Argentina's maiden rugby Test, against John Raphael's (unofficial) Lions team. One of Heatlie's compatriots for South Africa in the 1891, 1896 and 1903 Test series was Jackie Powell, the Griqualand West half-back. 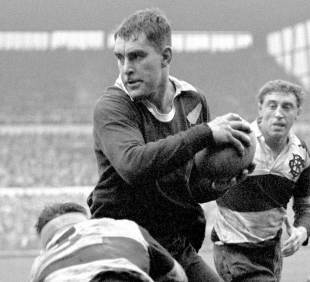 The only other player to appear in Test series spanning twelve years against the Lions is the New Zealand legend, Colin Meads, who featured in the rubbers of 1959, 1966 and 1971 (as captain). 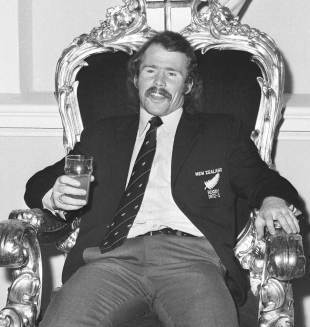 Meads had the unusual distinction of captaining his King-Country provincial combinations against the 1959, 1966 and 1971 Lions, winning the middle of these encounters against Mike Campbell-Lamerton's Lions. Two other household names in All Black history spanned those years. A young Fergi McCormick turned out as full-back for Canterbury against Ronnie Dawson's side in 1959 and Brian Lochore did so for the Wairarapa-Bush combination. Both featured against John Dawes' Lions in the 1971 Test series. There were three Magee brothers who played for the Dublin club Bective Rangers. J T (Joe) Magee, the eldest, was a threequarter and played twice for Ireland in 1895; A M (Louis - his first name was Aloysius) Magee, was a half-back who became the most famous of the three boys, and J M (James), the youngest, who has regularly been confused by historians in Britain and South African press with eldest brother, Joe. The confusion has only relatively recently come to light as a result of careful photographic comparisons. A M (Louis) and J M (James) Magee in fact went on the 1896 tour. Louis, who was later a London Irish stalwart, played in all four Tests while James featured in the second and fourth internationals. During the first Test in Sydney of the 1974 Bledisloe Cup series, Grant Batty was injured just before half-time attempting to score a corner try. He stayed on the pitch, but post-match it was discovered that he had broken two bones in his left hand. He and the New Zealand management were confident he could play in the second Test in Brisbane the week later and the winger was named in his usual position on the left-wing. Meanwhile an orthopaedic surgeon in Brisbane warned Batty that he risked serious injury if he played before allowing the breaks to heal. The Australian Rugby Union then wrote formally to the New Zealand management saying that it would not accept liability for claims arising were Batty to suffer an aggravation to his injury. The underwriting of the tour had set out that the host Union would be responsible for all medical expenses incurred by the touring team for up to 180 days after the end of the visit. As a result, New Zealand withdrew Batty from the Test, though he was considered fit enough to appear in the third and final game of the series the following Saturday. George Nepia was the young full-back who played in every match on the 1924-25 All Blacks tour to Europe and North America by Cliff Porter's Invincibles. Bob Scott toured Britain, Ireland and France with the famous NZ Kiwis in 1945-6 before returning as full-back with Bob Stuart's New Zealanders in 1953-4. Nepia and Scott were born 16 years apart, but never played against each other. The picture you refer to was taken when the famous full-back pair first met, at Gisborne on September 6, 1952. The occasion was the Poverty Bay v Olympians Club match. Scott, then 31, played full-back for the Olympians, who were a Barbarians-type selection that included ten All Blacks under the captaincy of Fred Allen, a former New Zealand skipper. The match was accorded first-class status in New Zealand. George Nepia, then 47, was the referee. The Olympians played open rugby to win 37-14, scoring nine tries. Their pack included the Brownlie twins - John and James - who were members of a famous Hawke's Bay rugby-playing family. James scored three of the tries. Bob Scott kicked five conversions for his side. Near the end of the game there was an amusing incident when Scott declined a kick at goal after a try by Allen, instead offering the ball to the referee. Nepia lined up the kick and duly sent the ball sailing over the crossbar, much to the crowd's amusement. The conversion points, of course, did not count in the official record of the match. There were 26 players on the tour made by that New Zealand Native team which undertook a staggering 74 matches in six months in Britain and Ireland. The tourists were nicknamed "Maoris" but in fact five of the side, though New Zealand-born, were of European origin. The last survivor of the tour party was William Elliot, a half-back of European heritage who was born in Auckland on May 9, 1867. He played for the Grafton and Parnell clubs and represented Auckland 20 times between 1887 and 1896, featuring twice against the 1888 British team and scoring the only try of the match when the province beat the Lions 4-0. On the tour to Britain he played in more than sixty matches including the three Tests against Ireland, Wales and England and acquired the nickname "Mother" - because, according to one source, "he mothered the players who strayed." He worked for the national railways concern in their yard in Wanganui and in 1893 was selected for the New Zealand tour of Australia. His employers were unable to grant him leave and he never became an All Black. "Mother" Elliot died in Auckland on April 16, 1958, aged 90.